I have received tons of complaints on how to pass jamb. So I have decided to straighten things out the best way, and I prepared this guide for students who want to know how to pass Jamb in 2020 excellently. A lady "Maria" also asked me a question one certain time. She said " Hi Osas, I am not the reading type how can I score high in Jamb once and for all." So I took my time out and wrote this guide. When she tried that 15 Tips. She scored 309 even more than I did in my time. That being said and done, as at the time or writing this post, Maria is in the University of Port Harcourt studying 'Banking and Finance' as a 200 Level student. 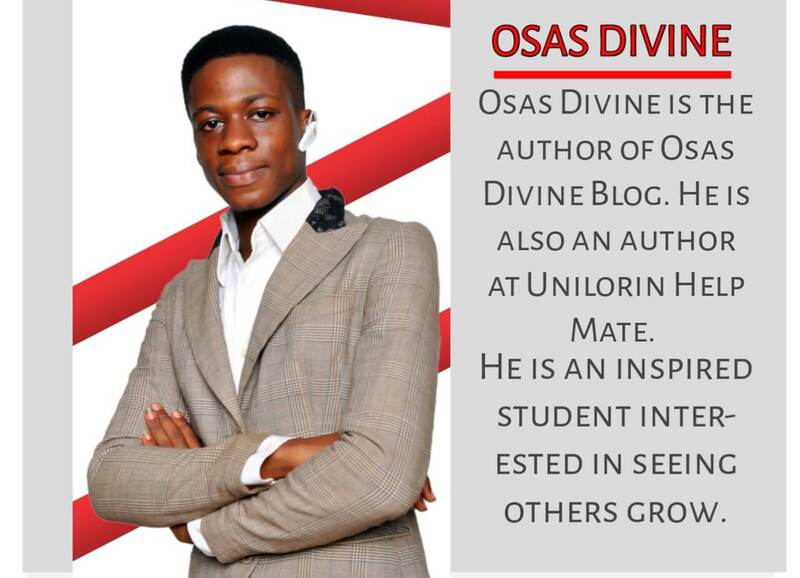 Welcome to the hallmark of success and solution center, I am 'Osas Divine' Your Admission Coach. Keep reading how to pass jamb and get admission. With this guide, anyone can make Jamb and score perfectly. Just on the grounds of executing the correct strategies, I am going to teach you now, no matter how long you have been writing Jamb you would definitely make jamb. Solutions on how to pass jamb in 2020 excellently. Every student's that read this guide is entitled to undeniable Admission Chances in 2020. It is not that students don't get admission because they failed Jamb, many students score high in Jamb but yet they were not offered Admission, so they have to write Jamb again. That is why I have fine-tuned this article, not only for those who failed Jamb but for those who score high but yet do not get admission. Two problems Jamb students face. Scoring High in Jamb yet not Getting Admission. Not having the capacity to meet the required cut off mark. I feel terrible when I perceive how hard students put in their time and efforts just to make the exam. They put a valiant effort and score high yet they get precluded from securing Admission. Admission in Nigeria is getting progressively troublesome persistently every year. The reason Admission Gets troublesome consistently cannot be overemphasized. You might want to ask me why Admission difficultly is dependably an issue in Nigeria. Let me give you the most common reason. Suppose you are intending to write Jamb this year. Do you realize you will be competing with those student's who somehow did not get Admission the previous year, added side with those writing it for the first time? Hence, you are going to be welcomed with the extending figures of both new and old jambites. Since as a whole you know that the Joint admission and matriculation board is the most widely recognized body of gaining admission in Nigeria institution, therefore the question is, is there any straightforward strategy to get this Admission? To be honest with you, there are only two straightforward ways on how to pass jamb and fully assure yourself of admission in Nigeria. And that is, write your Jamb fully prepared and post utme nothing more. But there are some other things to consider first, let's take it one after the other. As disillusioning all these may sound, we can't keep away from the obvious truth – Admission in Nigeria isn't so easy as you think, because of the high competition. A huge number of student's register for JAMB reliably and this figure keeps extending, and the admission spaces are constrained. Indeed, I know numerous candidates can make the exam. But where is the Admission space to contain everyone? They just have to delete some. The significant issue we will talk about in this guide Is the means by which you can basically blast jamb, subsequent to getting Admission. Your primary concern is to sit down and study the system effectively, then fix some things if you have to; at that point, I am exceptionally certain you will get admission into any school in Nigeria. We will cover the basic foundation in this article – and give you a few steps to accomplish your dream once and for all this year. In the 2018/2019 Admission process, 1,662,762 candidates enrolled for JOINT ADMISSION AND MATRICULATION BOARD EXAMINATION and as stated by NUC, only 200,000 of these 1.6 million hopeful candidates were chosen for admission into the diverse Nigerian tertiary Institution. By and large, what will be the faith of the remaining 1,462,762 contenders, who are fit for admission? These number of candidates will probably need to sit for the exam again and in all probability pass through a comparative fate, year in, year out? What of those whose issue come specifically from the school and not Jamb. The Vice-Chancellor of UNIZIK, Prof. Boniface Egboka said out of in excess of 80,000 applicants who wrote the school's Post-UTME and were fit for admission, just around 3,700 were given Admission for that session. Alluding to a point of reference from the school's law and Medical department, out of the 2,000 hopefuls who scored 291 in JAMB examination and should have been given admission only 100 contenders would be selected for admission. Should we chastise the Joint Admission and Matriculation board for Admission issues in Nigeria or the school we select in for? No, please you can't censure the school for not giving you admission. The institution did not say you should fill them in your JAMB form. You essentially need to be responsible for all of your exercises and what will make them select you out. Should we even be talking about this? Yes! Then what am I endeavoring to state here? Regardless of whether you will get admission or not, it is in your own doing. I realize you have been battling for admission, no need for us to overstate that. If I start listing all the reasons that affect your admission you will sure get bored with this article, so let me go straight to the point. 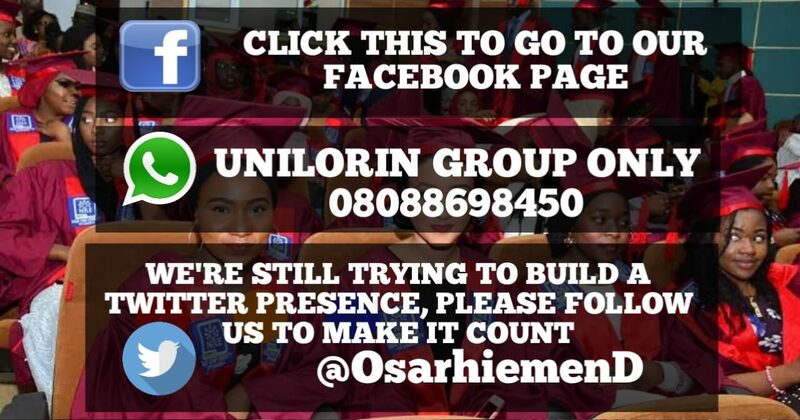 Remember we are still dealing with how to pass jamb and get admission, so consider the following. Furthermore, do your best to make Jamb and get your required cut off mark. At that point, you need to get ready for your school screening. On the off chance that you do these three things appropriately, you will definitely get Admission. Not having the capacity to meet the Cut off mark. Personally speaking, I wrote JAMB for four (4) years without scoring more than 201/400. My dream was to study Medicine at the University of Ilorin. My parents were not pleased by my persistent failure, they were constantly tired of my failure in JAMB. My companions took me as a nonserious student in life, and they blamed that I was so dull-headed. My parents nearly lost interest in my Education, and I also searched for a guide on how to pass jamb for the better as you did. Genuinely speaking, that could be you saying these words, yet I let you know, if it's isn't so difficult to make the exam. But the truth is you're yet to pass since you have not done the needful. Trust me if you follow these steps you can deal with it and you would never come around to ask anyone how to pass jamb. My tutors in the tutorial center I attended then did not only teach me the subjects I was offering but also taught me how to pass jamb. You should begin going to a tutorial center at least 3 months before the examination. It's isn't that everybody who goes to tutorials will really pass. It depends on the other stuff you add to it like personal study. 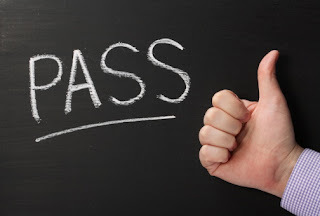 Going to a jamb based tutorial will help you to an extent. However, it would be better if the classes are structured on Jamb syllabus. You can use with jamb past questions and answer and study with your friend's circle as well. But to tell you the truth of the matter. The best Preparation for any exam is to study personally. In any case, tutorial centers are likewise useful, on the grounds that you can ask your tutors questions. Stage 2 - Get Jamb recommended textbooks, past questions and answers with Jamb syllabus. Let me add more light on step one. Whether you attend a tutorial or you are studying for jamb on your own use recommended Jamb materials only. Also, jamb past questions and answers help a lot. In the event that you don't have it, your odds for admission will be poor. Since practically the final examination questions are styled out from Jamb past questions. In addition, get Jamb CBT practice apps, I hope you are reading this article carefully with me. There is no way you can pass any exam without getting ready for it. Don't feel you know everything already. Have a good time management technique for scheduling your study. Try not to peruse any book you feel like. Study just jamb recommended books only, in other not to get your brain confused. Stage 3 Always get information and be present online on Jamb related concerns. Go on the web and concentrate progressively about Jamb, find out about the Registration date on time, mock and when the main exam will begin for the year. Also, search for more guides like this on how to pass jamb. Another thing to do online is, Join Jamb based Whatsapp/facebook group. Doing all these shows that you're getting ready for the exam. Sitting at home doing nothing Will not pay you and it will make you less focus. Ensure you're the first to get any Jamb information. Continuously be exceptional. You have to be up to date online, at that point dependably I recommend you get information from, Samphina Jamb news ( my favorite) Myschool news, and school-home jamb news. Stay away from idleness, always be busy with your preparation. Stage 4 - When Jamb enrollment begins, be among the first students to register. It is not that student's who register in time have exceptional advantages. Yet, it just hints at earnestness that you're ready. I suggest you register at Jamb main office in your location in the case of spotting out any mistake if not you can do it in an accredited center. Just ensure you avoid any errors while filling out your form. Ensure you collect the required materials after registration such as the novel and CD with a printout. Ensure you show interest for Jamb Mock amid your enrollment. Stage 5 - When the time fits, ensure you take part in Jamb Mop-up test. The Mop-up a.k.a mock isn't obligatory thou, but I recommend it at least to try yourself and have a pre-experience. Stage 6 - Finally, write the exam and send Jamb to hell. This time do your best to pass Jamb. I reiterate, put forth a valiant effort. Never joke with your Success. I trust this is a speedy and concrete step by step guide that will pave the path for your success this year. Top 3 reason that affects students in making the exam. Admission is becoming tight in Nigeria every passing year. So if you must secure admission then you have to score very high. If this is your first time to write Jamb then blend along. #2 Reason: Lack of Preparation and Unseriousness. #3 Reason: Applying for a Course (I.e subject combination) that you are very poor at. I am going to call this 'I too know' in a lay man's language. A student feels he is so intelligent and prepared for the exam with so much bosting of himself. But at the end of the day, he scores low. I like students who believe in themselves, but don't you ever feel that you Know everything. No one is an island of knowledge. That may only lead to officiousness, if you believe that you are such a brain filled person you will end up picking the wrong answer due to the too much of pride in you. No matter what you feel you know. Bring yourself down and always be ready to learn more and even from others. I am happy you have learned so much on how to pass Jamb but remember, no preparation is enough. No or little preparation will strongly affect your score. As much as you find it difficult to study, that is why I wrote a very comprehensive solution. Apart from studying also prepare yourself in all the needful and not needless areas. Beloved reader, I wish I could tell you that it's possible to score 300+ in Jamb without studying. But I can't and I know there is no way you can. I hope this article has taught you a lot on how to pass jamb and secure admission. Read more guides from Osasdivineblog frequently. Preparation yields to Perfection. If you have anything that will stop you from making any exam, we are here to help you out. If you are able to read at least 10 of our guides before you write your exam or virtually all that covers the topic you need, then I have no doubt you're going to pass Jamb 2020. Get Jamb 2020 syllabus and start using it for your preparation. Syllabus and past questions will help you understand the Questions in the exam. Don't just read any book that comes your way. In other not to waste the short time you have, read Jamb recommended textbooks and Jamb key points. You would find Jamb key points here soon. If you can practice at least 10 years past questions before the Exam you're good to go. So for your success benefits start preparing with Past questions. I beg of you to do all I have taught if you want to stop asking "how to pass jamb?" You have over three months to prepare for the Exam but just less down three hours to write the exam. So it's necessary that you pre-plan and have a strategy you will use to prepare and answer questions in the exam. Since you have to study for jamb for me when I am preparing I use mnemonics to take key points. I can draw the full periodic table in two minutes with the help of mnemonics. Eg. The first twenty elements. How I remember them with mnemonics. He has a Large brain but can not offer Full nine subjects. Mr. Ali said all farmers should come and plant cassava. He represents - H hydrogen. And so on, I can quote them till the end. I have so many strategies I used. Now that you know what to do, I wish you all that best and I trust you will secure admission in 2020 or whatever time you wish. If you enjoyed this, why not package it as a gift for your tweeter followers. and Facebook friends. Please share.